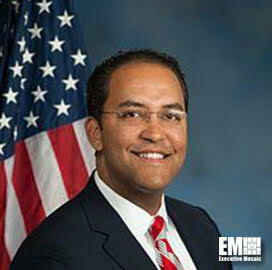 Reps. Will Hurd, R-Texas, and Robin Kelly, D-Ill., have reintroduced a bill intended to reauthorize and modify the role of the federal chief information officer. The Federal CIO Authorization Act would elevate the executive's role to that of a presidential appointee who would directly report to the Office of Management and Budget's leader, Hurd's office said Friday. The bill would also assign a federal chief information security officer who would directly report to the federal CIO as a presidential appointee. “This bill helps keep the vast information stored by the federal government secure from hackers by making clear that the Federal CIO is in charge of the security of our data across the government," said Hurd. The two lawmakers are reintroducing the bill to accommodate a new Congress, following the bill's previous House passing in November.